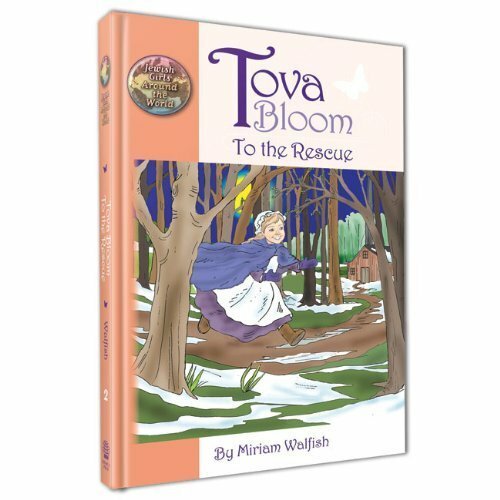 Expert Review of Tova Bloom to the Rescue by Miriam Walfish, one of our picks of the top Jewish books for kids! Meet Tova Bloom, a Jewish girl growing up in New York in the 1770s, during the American Revolution. Only a small group of Jews lived in New York at the time, but that doesn’t bother Tova, she has five older sisters to keep her company. Tova is intelligent and curious and has an excellent memory. In Tova Bloom to the Rescue, Tova and her family escape to Philadelphia as the British Army captures New York. But soon after, Tova’s father and her Uncle Simon are suddenly arrested and imprisoned by the British. Tova is desperate to prove their innocence and win their freedom. Will she succeed? Goldy says: "A very exciting and interesting book... it makes you want to read more."